To Protect and Preserve the Health, Safety and Welfare of all of our Citizens - Both Animals and People. Why volunteer at Collin County Animal Services? 1. Our volunteers can truly say they make a difference - we rely on our volunteers and our volunteers save lives. 2. We are the "front lines" of the animal rescue world - nothing is harder and nothing is more rewarding. 3. You can personally help our dogs and cats find the home that is the best match for them. 4. You can help our dogs and cats overcome fears, learn to trust people and become amazing pets. 5. These amazing pets need you! 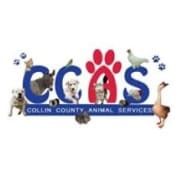 Would you recommend Collin County Animal Services?